2015 is a Gubernatorial election year, with Republican candidate Matt Bevin set to take on Democratic candidate and current Kentucky Attorney General, Jack Conway. Fort Thomas resident, Paul Whalen, continues his look into the history of Kentucky's Governor's that will take us up to present day. 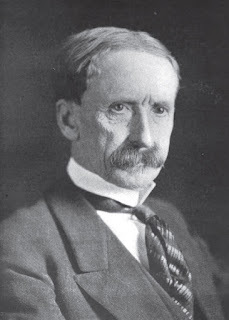 Democrat Augustus Stanley was elected to succeed 77 year old Governor James B. McCreary in 1915 as the 37th person to serve as Governor of Kentucky. Stanley went by “A.O.”. Stanley was the son of a preacher born in Shelbyville. Stanley was a teacher and lawyer prior to his entry into politics. A.O. Stanley was born on May 21, 1867 to William and Amanda Owsley Stanley. He was given the name “Nudicut Owsley Stanley”. At age 10, he convinced his parents to change his first name to “Augustus” in honor of his grandmother Augusta Owsley so that no one could call him “NO Stanley”. Stanley entered politics in Henderson. In 1902, AO Stanley was elected to the first of six terms in the US House of Representatives from Western Kentucky's 2nd District. As a Congressman, Stanley championed the interests of tobacco growers and opposed “trusts”. Due to the anti-trust practices in Western Kentucky of Duke’s American Tobacco Company, he introduced legislation in the Congress to go after the tobacco trust and used his position to convince the Theodore Roosevelt Administration and the Taft Administration to pursue anti-trust suits against the American Tobacco Company. He led the Congressional Investigation which investigated US Steel. U.S. Steel was a billion dollar corporation or trust assembled by J.P. Morgan during the 1890’s. J.P. Morgan’s trust controlled over 60% of the nation’s production of steel, owned over 1,000 miles of railroads, a significant portion of the nation’s coal and iron ore reserves, as well as 112 ships which ship iron ore. In 1907, Morgan purchased Tennessee Coal, Iron and Railroad. In 1909 and 1910, Stanley began conducting hearings concerning U.S. Steel and put together legislation which by 1911, resulted in the Clayton Antitrust Act. In 1914, the first direct elections for the US Senate were held in Kentucky. Foregoing a seventh term, AO Stanley challenged former Governor JW Beckham for the Democratic nomination for the US Senate where he was defeated by Beckham who became Kentucky’s first popularly elected US Senator. The following year, AO Stanley was nominated for Governor. Stanley’s Republican opponent was Edwin P. Morrow of Somerset (who was elected Governor in 1919). Stanley and Morrow often traveled together during the 1915 gubernatorial campaign even staying at the same hotel while they verbally blasted each other. One example of the antics of the campaign is cited in Thomas Ramage’s “Augustus Owsley Stanley—Early 20th Century Democrat” found in Kentucky Profiles Biographical Essays in Honor of Holman Hamilton. Issues during the campaign included prohibition, which Stanley opposed. Another issue was the $1.oo tax on dogs. When speaking about the tax on dogs, he would often howl like a dog. AO Stanley defeated Morrow by only 487 votes. As governor, AO Stanley enjoyed a Democratic majority in both houses of the General Assembly. Stanley was successful in having his legislative programs enacted into law. These programs included the first Workers’ Compensation Law and Anti-Trust Legislation. Stanley successfully pushed progressive legislation through the General Assembly, including a corrupt practices act and an anti-lobbying act. During a 1917 special session, the General Assembly enacted a Tax Reform package which would help Kentucky’s farmers. After the start of World War I, Stanley vetoed legislation which would have banned the teaching of German in Kentucky. A O Stanley was blamed when the General Assembly rejected the proposed 18th Amendment to the Constitution to establish prohibition during the 1916 session. In July 1917, it was approved by a combined 94-17 vote. Stanley was also quite the orator. He stopped a lynching of a black prisoner by convincing a judge and Commonwealth Attorney in Murray by the sheer force of his personality. He made national news in January 1917, when he took a night train from Louisville to Murray as he said “I shall give the mob a chance to lynch the Governor of Kentucky first.” Upon arriving in Murray, he personally went to where the Circuit Judge and the Commonwealth Attorney were being held hostage and dared the mob to kill him. 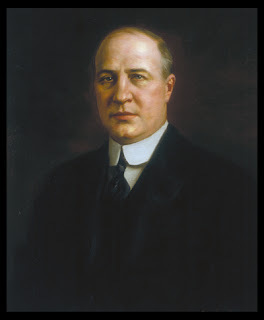 AO Stanley was elected to US Senate in 1919 during a special election and resigned to serve in the Senate. 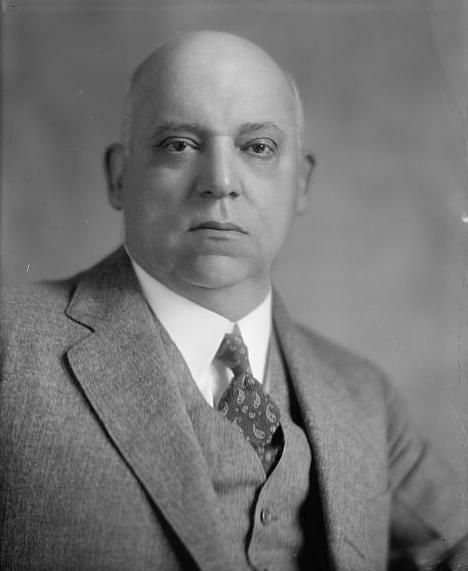 He was defeated in a re-election bid in 1924 by Louisville Republican businessman, Frederic M. Sackett. This was due in part to making enemies with the Anti-Saloon League and the Ku Klux Klan. 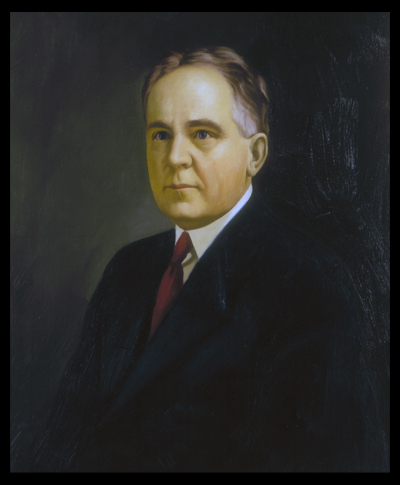 President Herbert Hoover appointed AO Stanley to the International Boundary Commission which mediated disputes between the US and Canada. Stanley served on the Commission until 1954. Augustus O. Stanley died at age 91 in 1958. He was survived by his wife Sue Soaper Stanley and two of his three sons. His grandson A.O. “Bear” Stanley, III (1935-2011) was considered one of the largest private manufacturers of the drug LSD during the 1960’s. He was also associated with the band-The Grateful Dead. Lt. Governor James Dixon Black of Barbourville, Kentucky became Governor when Governor A.O. Stanley was elected to the U.S. Senate. Black, a native of Knox County, was an attorney and educator in Barbourville prior to entering politics. He served one term in the Kentucky House of Representatives in 1876-1877. James Dixon Black, the son of John C. and Clarissa Jones Black, was born on Big Richland Creek about nine miles from Barbourville on September 24, 1849. He was educated in Knox County and graduated from Tusculum College near Greeneville, Tennessee in 1872. It should be noted that just prior to James Dixon Black becoming a teenager, the Civil War came to Knox County. The Union established Camp Andy Johnson to recruit soldiers from Kentucky and Tennessee. The site of Camp Andy Johnson is now the location of Union College of Kentucky. On September 19, 1861 one of the first battles of the Civil War in Kentucky occurred at Barbourville. Confederates under Brig. Gen. Felix Zollicoffer moved through Cumberland Gap from Tennessee and sent a detachment under Col. Joel A. Battle to Barbourville and burned Camp Andy Johnson. After graduating from college, Black returned to Barbourville where he taught school and studied to become a lawyer. In 1874, he was admitted to the bar. In 1875, he married Nettie Pitzer of Barbourville. They had three children, Pitzer, Gertrude and Georgia. In 1879, Black and other citizens of Knox County found Union College. He was active in the affairs of the college most of his life. He served not only as a founder putting up funds to found the college, but served as a fundraiser and as Union College President from 1910 to 1912. Black’s lifelong interest in education was also reflected in his service as superintendent of the Knox County Schools in 1884. Governor John Young Brown (1891-1895) was instrumental in Black’s appointment as Kentucky’s commissioner to the “World’s Columbian Exposition” or the Chicago’s World’s Fair of 1893, held to celebrate the 400th Anniversary of Columbus’ arrival in the New World. The dedication ceremonies were held on October 21, 1892 but the grounds were not opened to the public until May 1, 1893. The fair was open to the public until October 30, 1893. In 1915, James Dixon Black was elected Lt. Governor of Kentucky with Governor AO Stanley. This was an interesting combination as Black supported prohibition and Stanley opposed prohibition. As Black only served seven months during an election year and the General Assembly did not meet, Black was unable to influence legislation. Black sought and won the Democratic nomination for governor in 1919, but lost to Republican Edwin Morrow who had lost to AO Stanley by about 487 votes in 1915. Black blamed his defeat on liquor interests and President Wilson’s failing popularity following World War I. Upon leaving office, Black became Kentucky’s Chief Prohibition Inspector in 1920. He later resumed his law practice and became president of Barbourville National Bank. He died on August 5, 1938, not quite 89 years of age. At the time of his death, he was serving as the 9th Congressional District Campaign manager for Alben Barkley’s 1938 re-election campaign to the U.S. Senate. It should be noted that John Dixon Black died the day before the 1938 Democratic Senate Primary of August 6, 1938 in which U.S. Senator Alben Barkley beat Gov. A.B. “Happy” Chandler by 56.05% to 42.56% of the votes. Kentucky’s only governor from Pulaski County was Edwin Morrow. Morrow was one of the twin sons of Thomas Z. and Catherine Virginia Morrow. Thomas Z. Morrow was the 1883 Republican nominee for Kentucky Governor (he was defeated by Democrat J. Proctor Knott) and the nephew of Kentucky’s first Republican Governor William O. Bradley. Catherine Morrow’s brother was Governor William Bradley. Morrow and a twin brother were the youngest children of Thomas and Catherine. As a lawyer, he had a reputation as a successful criminal defense attorney in Lexington and later Somerset. He established his reputation with the trial of William Moseby, a black man accused of murder in Lexington. Moseby's first trial had ended in a hung jury because the evidence against him included a confession which was recanted. The court unable to find an attorney for Moseby in his second trial, the judge requested that Morrow take Moseby’s case. Morrow proved that his client's testimony had been coerced. Law enforcement told Moseby that a lynch mob waited outside the jail for him, but no such mob had ever existed. Morrow further showed that other testimony against his client was false. Moseby was acquitted with Morrow’s assistance on September 21, 1902. Morrow married Katherine Hale Waddle on June 18, 1903 in Somerset. The couple had two children, Edwina Haskell in July 1904 and Charles Robert in November 1908. In 1910, President Taft appointed Morrow US Attorney for the Eastern District of Kentucky. Morrow served in that position until 1913, when Woodrow Wilson assumed the Presidency. In 1912, Edwin Morrow was nominated by the Republicans in the General Assembly as that party’s candidate for the U.S. Senate. However, he was defeated by Democrat Ollie James in the last election for the U.S. Senate in Kentucky decided by the General Assembly. In 1915, Morrow was nominated for Governor of Kentucky by the Republican Party. Edwin Morrow and A.O. Stanley were great friends and often campaigned together. Morrow, like Democrat AO Stanley, was an entertaining stump speaker. Morrow and Stanley would often go to dinner together after calling each other horrible names on the stump. After his defeat in 1915 by less than 500 votes, Edwin Morrow was again nominated by the Republican Party for Governor. In 1919, Morrow faced incumbent Governor James Dixon Black who became governor upon Governor A.O. Stanley’s election to the U.S. Senate. Black was part of a divided Democratic Party and an administration which had some irregularities with hiring and contracts. Less than a month after taking office, on January 6, 1920, Governor Morrow signed the bill ratifying the 19th Amendment to the U.S. Constitution. Morrow called for the creation of a “non-partisan” judiciary, creation of a Department of Labor and reformation of property taxes. He was unsuccessful in making the judiciary, but prevailed in creating a Department of Labor and reforming property taxes. With a Republican General Assembly, Morrow was able to improve the selection of school textbooks, centralization of highway work, and creation of the Board of Charities and Corrections. With the assistance of a Republican controlled House of Representatives, Morrow was able to pass a tax on race tracks to support a minimum salary for public school teachers in Kentucky. Morrow was known as a” law and order” governor. He enforced the law against the carrying of concealed weapons in an effort to stem the number of homicides in the state. He removed the Jailer of Woodford County from office due to his failure to protect a black man from a lynching. He called out the National Guard to Lexington to prevent a black man on trial for murder from being lynched. In 1922, Morrow sent the National Guard to Newport to quell disturbances from a mill strike. During the 1922 session of the General Assembly, colleges were created at Morehead and Murray at Morrow’s urging. After leaving office in 1923, Morrow served on the US Railroad Labor Board and its successor, the US Board of Mediation. He was also active in various civil rights organizations. In 1934, Edwin Morrow sought the Republican nomination for Kentucky’s 9th District Congressional seat. He was defeated by former U.S Senator John M. Robsion of Barbourville who was the eventual winner. As Governor Morrow was planning to resume practicing law in Lexington, he died of a sudden heart attack on June 15, 1935 while visiting a cousin in Frankfort. The 40th person to serve as Kentucky’s governor was William Fields, known as “Honest Bill from Olive Hill”. A native of Carter County and a graduate of the University of Kentucky, Fields was elected constable at age 21. After his defeat as a candidate for a seat in the Kentucky House of Representatives, Fields decided to abandon the slow climb up the political ladder. Instead he became a salesman for an Ashland Wholesale Grocery Company which enabled him to travel the state in order to meet more people. After working as a salesman for 14 years, Fields, using the slogan “Honest Bill from Olive Hill” sought the 9th District US House seat in 1910 and defeated incumbent Republican Congressman Joseph B. Bennett. The 9th District House seat had been in Republican hands for over two decades. Fields won that election and six others. During his tenure in the House, Bill Fields rose to become the ranking member of the Military Affairs Committee and the Appropriations sub-committee during World War I. Fields was chosen as the Democratic nominee for Governor in 1923 after the sudden death of the winner of the primary 7th District Congressman, J. Campbell Cantrill of Georgetown in September by the Democratic State Central Committee. Cantrill had won the nomination in a bitter primary fight with KY 1st District Congressman Alben Barkley of Paducah. Fields’ running mate and Lt. Governor was Henry Denhart of Bowling Green. About ten years after leaving office, Denhart was charged with the murder of his girlfriend and tried in LaGrange. The trial ended with a hung jury. Before Denhart could be tried a second time, he was shot to death, at the Armstrong Hotel, in Shelbyville on September 20, 1937. Fields was given an advantage due to the unpopularity of the incumbent Republican Governor Edwin Morrow. Morrow had become unpopular due to his pardon of bank robber Frank Blair. Morrow had pardoned the body of Frank Blair at the request of Republican State Committee Chair Maurice Galvin of Covington. Blair had been shot during the course of the robbery. Upon becoming Governor, Fields kept a rather austere atmosphere when entertaining at the mansion due to personal beliefs against drinking (This was during prohibition) and dancing. His inaugural ball was held in the rotunda of the capitol in order to allow for dancing rather than at the mansion where it was now banned. Fields agenda for the 1924 Session of the General Assembly included a $75 million bond issue for building of state highways and to increase the state tax on gasoline to three cents per gallon. Robert Worth Bingham and his Courier Journal opposed Field on almost of his proposals. The General Assembly passed the legislation concerning the bond issue which was placed on the November 1924 ballot. As written by the legislature, the voters were to approve $50 million for highway construction and $25 million for education, prisons and social programs. Although Fields spent over ten weeks campaigning for the bond issue with the support of the Desha Breckinridge the editor of the Lexington Herald and the Kentucky Good Roads Association, the bond issue was defeated. In 1926, Fields was able to persuade the General Assembly to pass an increase in the gas tax to five cents per gallon. Achievements of Fields’ administration included the founding of a trade school at Paducah for black students, funding for the colleges at Murray and Morehead, an increase in the gasoline tax to fund major highway bonding and building programs and assisting in obtaining Cumberland Falls for a future state park. He is also responsible for suggesting the establishment of a state park in his home county, now known as Carter Caves State Park. After leaving the governor’s office, he was unsuccessful to regain his former Congressional seat which was then held by Democrat Fred Vinson who later became U.S. Secretary of the Treasury and Chief Justice of the U.S. Supreme Court. He later became an attorney and served as Commonwealth Attorney for Carter and surrounding counties. Governor Happy Chandler appointed Fields to the Workers’ Compensation Board where he served for almost ten years. He moved to Florida in the 1940’s but moved back to Carter County where he died on October 21, 1954. Republican Flem Sampson was the 41st person to serve as Kentucky’s Governor and the second person in less than ten years from Knox County to serve as governor when he was elected Governor in November 1927. Flem Sampson was the 9th of ten children born to Joseph and Emoline Kellum Sampson in Laurel County near London. Like Democratic Governor Black, Flem Sampson practiced law in Barbourville prior to entering politics. He was also a member of the Methodist Church as Governors Black and Fields before him. He married Susie Steele on September 20, 1897 with whom he had three daughters, Pauline, Emolyn and Helen Katherine. After receiving his law degree, he was admitted to the bar in 1895. He practiced law as the Barbourville City Attorney and then as President of the First National Bank of Barbourville. Sampson’s law partner included the politically connected future KY Secretary of State and U.S. Congressman Caleb Powers. Powers was indicted in 1900 in the conspiracy to assassinate Governor Goebel serving time in prison, prior to being pardoned before being elected to Congress. In 1906, Sampson was elected county judge (now judge executive) of Knox County and five years later was elected Circuit Judge. With a reputation for toughness on liquor law violators, Sampson was elected judge on the Kentucky Court of Appeals in 1916. He was Chief Justice of that Court from 1923 to 1924. Sampson was also allied with future U.S. Congressman (1919-1930) and U.S. Senator John Robison of Barbourville. 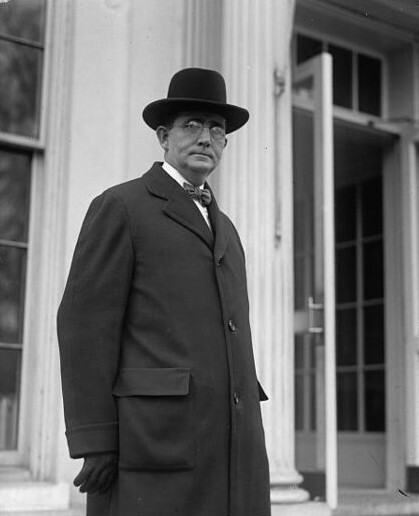 In 1927, Sampson was the Republican nominee for Governor. The Democrats were divided over prohibition and the pari-mutual gambling issue. Sampson’s Democratic opponent was former Governor and U.S. Senator J.C. W. Beckham. Louisville and Lexington Democrats sympathetic to the liquor and horse industry supported Sampson over Beckham. Sampson ran as a person who did not drink, smoke, chew or gamble “even on an election”. While little noticed at the time, one of the first actions as Governor, Sampson appointed the next Republican Governor, Simeon Willis (1943-1947) to the Kentucky Court of Appeals. It should be noted that Sampson served during Prohibition and during the early years of the “Great Depression”. Unemployment was high as 40% in many Eastern Kentucky counties. Sampson’s accomplishments include creation of the Kentucky Progress Commission, the forerunner of the Commerce Cabinet. He was able to get the General Assembly to pass legislation to provide free text books for Kentucky’s public schools. However, he was unable to get the funds appropriated to pay for them. The most controversial action of his administration was his support to build a dam and a hydro-electric plant at Cumberland Falls and rejection of a proposed gift to the state from the DuPont Family in order to purchase Cumberland Falls and the land around it in order to turn it into a state park. The General Assembly over-rode his veto and accepted the DuPont’s gift and established Cumberland Falls State Park. As a result of Sampson’s actions concerning the “Falls” and other issues with the Democratic General Assembly, the legislature stripped him of most of his statutory authority and turned it over to a three person committee which included Sampson, the Democratic Lt. Governor James Breathitt, Jr. and the Attorney General. With the resignation of Kentucky’s U.S. Senator Fred Sackett to become President Hoover’s Ambassador to Germany in January 1930, Sampson appointed U.S. Congressman John M. Robision of Barbourville to the U.S. Senate. The events surrounding the Battle of Evarts in Harlan County was one of the biggest challenges of Sampson’s last year as governor. It began in February 1931 when The Harlan County Coal Company cut wages for its employees. In response, the United Mine Workers Union responded by holding a rally in Pineville (Bell County) which drew over 2,000. In May 1931, fights broke out and three non- union miners were killed. In response, Governor Sampson called out the KY National Guard to the coal fields of Harlan. Unfortunately, violence in the coal fields of Harlan, Bell and Knox counties and even northeast Tennessee continued into 1932. Following his term as governor, Sampson returned to the practice of law in Barbourville and was elected Circuit Judge. He attempted to regain a seat on the Kentucky Court of Appeals, but was defeated by Eugene Siler Sr. who later served as a US Congressman. Flem Sampson died at age 92 on May 25, 1967 in Pee Wee Valley. He is buried in the Barbourville Cemetery.